Create Some Seriously Dramatic Images With Steel Wool! 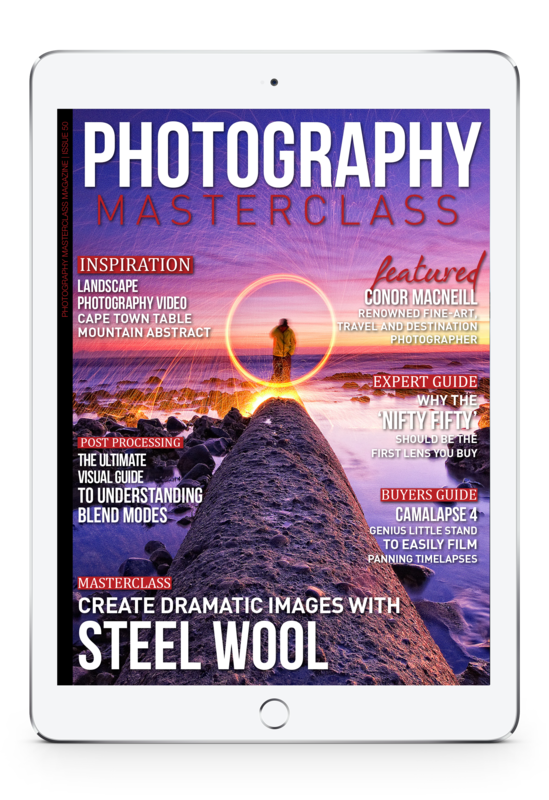 Learn How To Create Some Seriously Dramatic Images With Steel Wool, In This Issue of Photography Masterclass Magazine! Steel wool photography is a great way to create some seriously dramatic images. It may look complex but once you know the steps involved it’s a fun technique you can endlessly experiment with. Steel wool photography involves lighting steel wool and then spinning this around to create sparks and patterns of light, using a long exposure. In this issue we look at exactly how to create these remarkable images and the equipment you’ll need. + Landscape photographer Kevin Roberts goes on location showing how he photographed an abstract shot of Table Mountain in South Africa. + In our expert guide, we look why the ‘nifty fifty’ lens should be the first lens you buy. + We interview travel and destination photographer, Conor MacNeill, who's passion for travel has lead him to over 60 countries so far. He not only visits the main destinations and puts his unique photographic twist on things, but also manages to capture the essence of a country by visiting the paths less-travelled. + In the Photoshop video tutorial, the ‘Ultimate Visual Guide to Understanding Blend Modes', you'll soon understand the basics of Blend Modes so you can quickly be on your way to creating great composite images. + We showcase a 6 minute stunning panoramic timelapse filmed in amazing 10K, where the city of LA has never looked so good! + We also give you the lowdown on the camalapse, a genius little stand that allows you to easily film panning timelapses.